Yes, it's true. I approve of this experiment. The mint flavor is delicate, not overwhelming, the texture has a snap and then a soft center, reminiscent of a butter mint but lighter. Plus, they look like nice, round, pink buttocks. Perfect for biting! Excellent -both the recipe and BW's comment! OMG, this is unbelievable--not just the exquisiteness of the Buttocks of Venus (as I have decided to call them, you can call them Buttocks of Adonis if you like) but because of the serendipity! Last nite, I spent an hour producing a coconut meringue CATASTROPHE thanks to Mimi Sheraton (it involved a candy thermometer, like all my worst disasters). And now here is exactly what I was dreaming of, only in pink peppermint instead of coconut, and no need for the accursed candy thermometer. Would baking time be same with coconut, dya think, or would the shreds burn? Lucky BW!! FG must bring BOVs/BOAs to next Blogade! I suggested to BW that they were baboon butts. 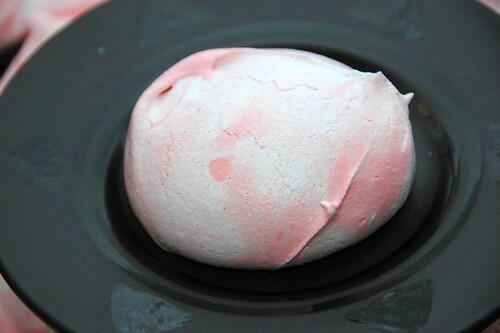 The baking time and temperature is for the benefit of the meringue. 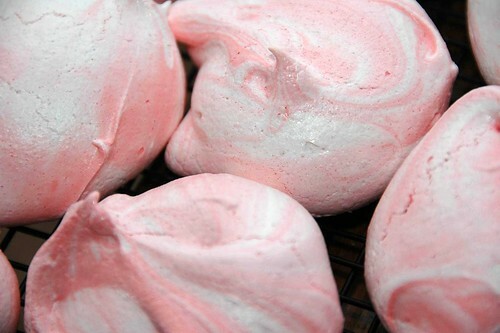 The temperature here is low so that the meringues don't darken, but stay light in color. 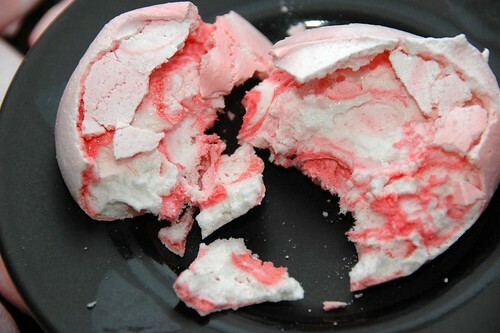 Note also that these are meringue cookies. 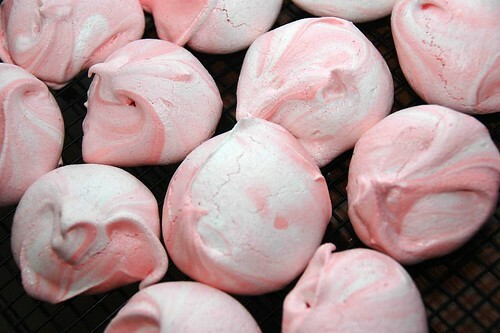 It's not the same treatment you would use for meringues used for other purposes, such as atop a pie, which you WANT to caramelize somewhat. Any other ingredients must go along for the ride. The KAF recipe says you can add nuts, so I don't see why you couldn't add coconut. I don't care for coconut, so burning it seems appropriate. However, the temperatures are low enough that it should prevent burning. JD: Thanks for stopping by, and making the connection. 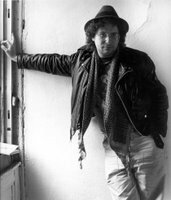 You might want to check out my partner's blog, memorializing his mother and her writing: The Poetry of Dee George.